Rebuild by Design, a competition sponsored by HUD, selected ten teams to explore innovative solutions for resiliency in the face of climate change. 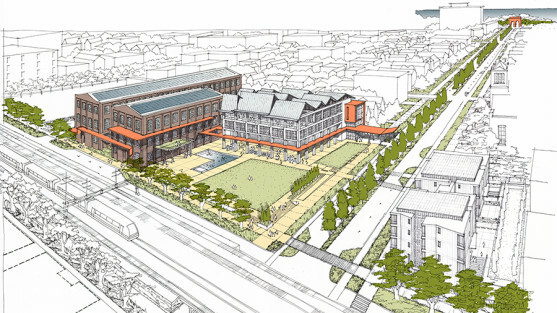 Our team, comprised of unabridged Architecture with the Gulf Coast Community Design Studio and New Orleans-based Waggonner and Ball Architects, was joined by Yale University and ARCADIS to work in Bridgeport, Connecticut. The team’s proposal combines natural and fortified solutions to transform the places most at risk from severe storms into community assets. Amongst those solutions are multi-functional berms and floodwalls that protect critical infrastructure, resilience centers that provide critical services before, during, and after storms, and green infrastructure and riverfront re-greening projects throughout the watershed. 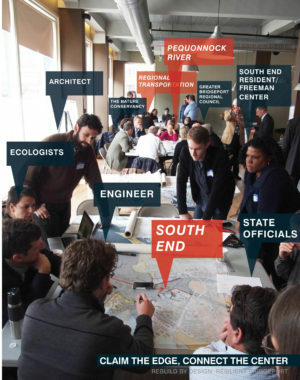 Together, these solutions comprise the “Bridgeport Resilience Framework,” an integrative and incremental approach that restores the environment, strengthens connectivity, enhances the regional economy, reduces long-term risk, and restores the city’s waterways to the forefront of the city’s identity. 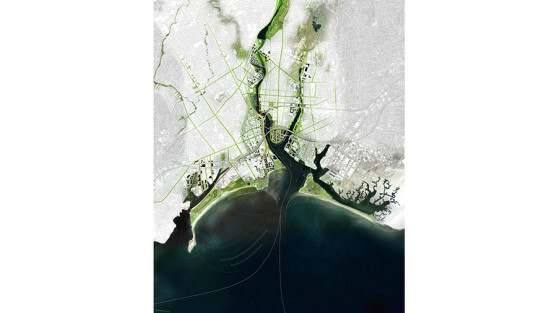 Bridgeport will serve as a model for other coastal cities faced with rising sea levels, abandoned downtowns, and increasing pressure to develop the coastal edges.